Now this is a sweet sandwich! Big fans of Nutella in this house, so I decided to make a sandwich crossed with a cake, crossed with dessert. The result? A Cake-wich! 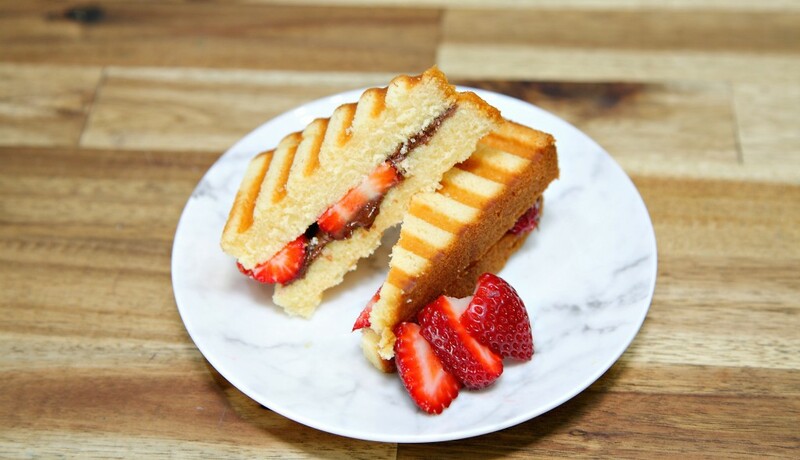 Spread Nutella on half the slices and top with sliced strawberries. Top with remaining madeira cake. Cook for two minutes, or until cake is heated. Serve and enjoy!